Classic baby music is a big hit in our house. Although, I’ve sung everything from “Bohemian Rhapsody” to Justin Bieber’s “Baby” to my little music-lovers, and I enjoy making up songs — my “getting ready for bath time” jam is totally Grammy-worthy! — the classic nursery rhymes that my parents sang to me have always been my children’s favorite. It’s hard to top hits like Rock a Bye Baby and Hush Little Baby, am I right? 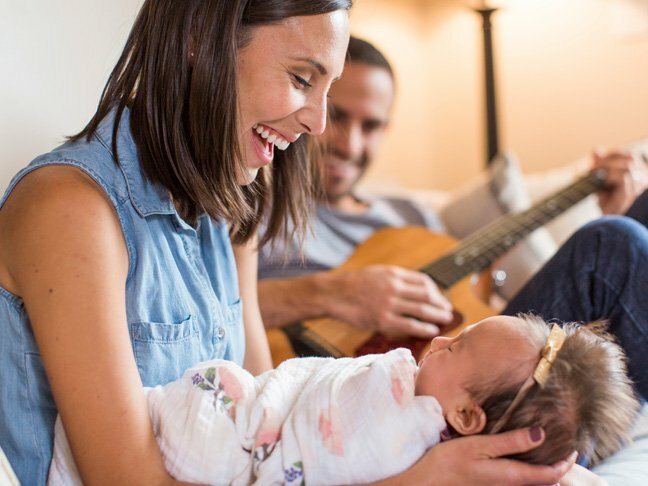 Singing to your baby isn’t just fun, it’s also good for her development. The songs we sing to our babies have the power to soothe their cries, make them sleepy, and even teach them early language skills. So, I’ve rounded up 13 classic nursery rhymes, including lyrics, for you to enjoy with your mini me. As a new mom, I resisted singing this classic lullaby because the words seemed scary! 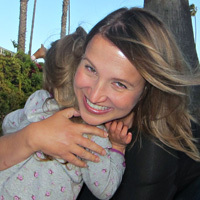 But Rock-a-Bye Baby is pure magic to little ones–my 2-year-old still requests it daily. While singing, rock baby in your arms and send her off to dreamland, secure in the knowledge that you will always keep her safe, with her cradle at ground level. If you don’t know where Thumbkin is, he’s the thumb on your hand, hiding behind your back, laying in wait to surprise and delight your baby as you sing “Here I am, here I am!” Throughout this song, each finger on your left hand “meets” the corresponding finger on your right hand (thumb, pointer, middle, ring, pinkie) before bidding each other adieu and running away. If you’re singing this to a young baby who hasn’t learned object permanence yet, he will be absolutely astounded as your fingers disappear and reappear. A fun option for the wrap-up is “Where’s the whole family?” (all 5 fingers), ending with a tickle fest. Using your thumbs and forefingers, show baby how the spider climbs and watch his eyes go up, up, up. Flutter your fingers to make downward rain and then wash the spider away with a wiping gesture. Then those versatile fingers of yours become the sun’s rays. Don’t be surprised if the line “climbed up the spout again” makes baby want to hear the whole song again. And again. What a fun way to teach your baby the animal sounds! And hey, don’t feel limited by animals that belong on a farm. When you get tired of quacking and mooing, you can always roar like a lion or howl like a monkey. When baby’s old enough to talk, she’ll request the whole zoo. For an added degree of difficulty and fun, try to remember and repeat all the past animals sounds at the end of each verse, in order.